Feeling foxy and frightful, with a dash of pirate-y mixed in for good measure? It may seem silly, but trust us, it's a creepy combination. 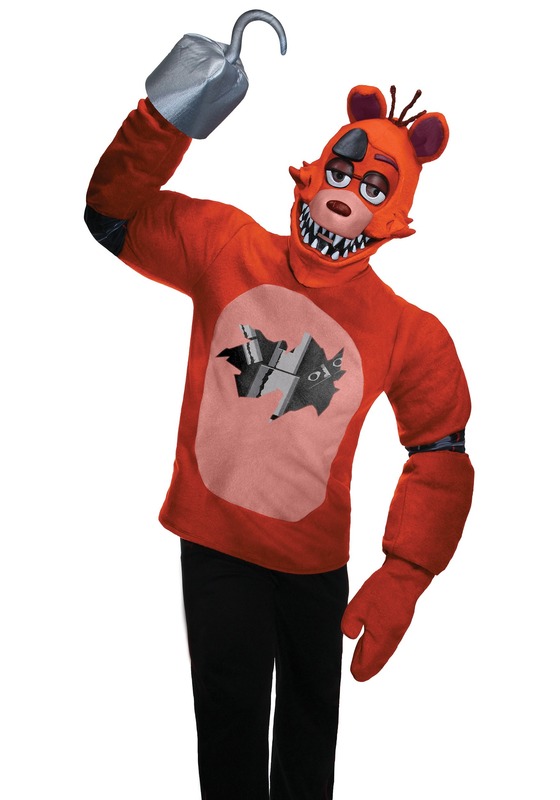 Scaring up some fun has never been freakier than when you're wearing this Five Nights at Freddy's Foxy Costume! We don't think we're being unreasonable when we say we would prefer not to be stalked by any animatronic animals at all, if possible. But, if we have to pick one, we definitely would pick any one but Foxy. None of the monstrous critters that roam the halls of Freddy Fazbear's Pizza after dark particularly fill us with joy. But Foxy, the denizen of Pirate Cove, seems to really know how to get under our skin. Maybe it's his big pointy teeth, or his confusing eyepatch, but it probably has more to do with how he rushes over to you if you stare for too long. Ugh, who's up for Chinese food instead of pizza? Well, if Foxy creeps you out as much as he does us, they say the best way to get over fears is to become that which you're afraid of. This costume has everything you need to put yourself behind those big, hungry, googly eyeballs, The pullover costume makes you the spitting image of a damaged, animatronic pirate fox, complete with a hook hand, and a mask with a big toothy grin across it! It's perfect as part of a Five Nights at Freddy's group costume, or for spreading some creepy cheer on your own.